HIT MAN Berns emerges as a driven, ridiculously gifted figure in this long-overdue documentary portrait. Like many, my list of top-10 movies includes two Godfathers. I'm also far from alone in loving '60s rock music and accept as fact that the best of it was made by the Beatles. So take a wild guess how much fun I had watching Bang! The Bert Berns Story, a documentary about the only songwriter, producer and label head in history to count among his business associates both the Fab Four and members of the mob. You may not know the name, but you've been listening to his music all your life. If Berns had never unleashed another sonic phenomenon after "Twist and Shout," he'd still qualify as an industry legend. But he created so many more hits it's almost a joke. And all within a span of just eight years. He died in 1967 at the age of 38. How this guy's face isn't on a stamp and familiar to everyone who's ever read Rolling Stone is beyond me. Directors Bob Sarles and Brett Berns, Bert's son, set about correcting that cultural injustice with this wild and gripping career chronicle narrated by Steven Van Zandt (of "The Sopranos" and the E Street Band — nice touch!). They get an assist from admirers such as Paul McCartney, Van Morrison, Brenda Reid and Keith Richards. Berns was born in the Bronx and suffered from rheumatic fever as a child. Doctors predicted he wouldn't live past 21, owing to the resulting heart disease. The death sentence translated into an obsessive drive that took him from writing hits in New York's Brill Building to running not one but three record companies of his own. He apprenticed at Atlantic Records under founders Ahmet Ertegun and Jerry Wexler, the latter of whom, we learn, was a money-hungry, power-crazy creep of monumental proportions. In one of the film's most satisfying sequences, an old-time wise guy named Carmine DeNoia recounts an episode in which Wexler attempted to steal Bang, Berns' first label, out from under him. In a scene straight out of The Godfather, DeNoia and Bern's buddy Tommy Eboli — capo of the Genovese crime family — paid Wexler a visit and made him an offer he couldn't refuse. He never bothered Berns again. When he wasn't painting the town with mob pals or breaking down color barriers by inviting soul artists on his roster to parties at his penthouse, Berns was in the studio inventing the future of pop music. He knew he didn't have long and didn't waste time. The result was a canon almost unrivaled in the history of the art form. Berns' legacy includes writing credits as disparate as "Here Comes the Night," "Tell Him," "Cry Baby," "Hang On Sloopy," "I Want Candy" and "Piece of My Heart" — and, as a producer, "Under the Boardwalk" and "Brown Eyed Girl." Among his discoveries were Morrison, Rick Derringer and Neil Diamond. At one point, an ungrateful Diamond wanted out of his Bang contract. But that's another mob story (the film has a bunch). Hence the singer's absence from the lineup of talking heads paying tribute here. That's just the tip of the narrative iceberg. 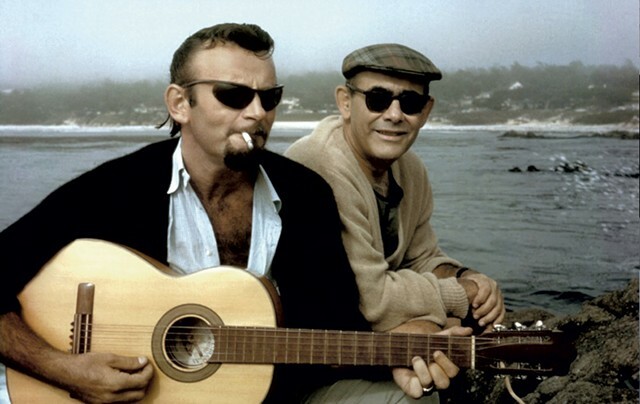 You won't believe the number of seminal performers, music-biz aristocrats, songs and sagas that figure in the Bert Berns story. The filmmakers do a highly entertaining and engaging job of introducing the world to a musical pioneer whose work it already knows by heart. Speaking of heart, it's hard to imagine a human being living with an expiration date and demonstrating more of it. The original print version of this article was headlined "Bang! The Bert Berns Story"
Bang! The Bert Berns Story is not showing in any theaters in the area.